Panubo’s Kubernetes based reference architecture defines everything from development processes to monitoring your production workloads. With the Panubo’s proven reference architecture you can lower your operational risk by having your team work from a known good configuration and standards. As a SaaS operator you can lower your time to market as the infrastructure has already been defined and you need only implement it using Panubo’s provided components on your choice of AWS or GCP. Panubo has been building Docker images and running Docker container since 2014. Our experience can help teams build production ready and maintainable Docker based applications that run smoothly on Kubernetes. Panubo can help with initial design all the way through to getting a production ready configuration. With the rise of Cloud infrastructure traditional IT practises are no longer effective. Panubo can provide complete management of your Cloud based resources when coupled with the Panubo Reference Architecture. With 24/7 monitoring and critical support you can sleep easy knowing the team that designed the platform are oncall to help when it's needed. Panubo will also handle platform upgrades so your systems are always running on the latest services. Originally operating under the “Volt Grid” brand, in 2013 Panubo developed and operated a Platform as a Service (PaaS) hosting solution. Along the way we saw that our customers complex needs could not be met with a PaaS, and we found a better way. In early 2015 the PaaS was reimagined as ‘Panubo’. Since then we have been deploying best-of-breed hosting systems that meet our customer's business requirements, and are not limited by what can be achieved. Today our team has over a decade and a half of experience in building highly reliable and scalable hosting systems. Andrew brings a decade of experience working with and consulting to online businesses. He is an experienced system administrator, and established Python programmer having contributed to numerous open source projects. 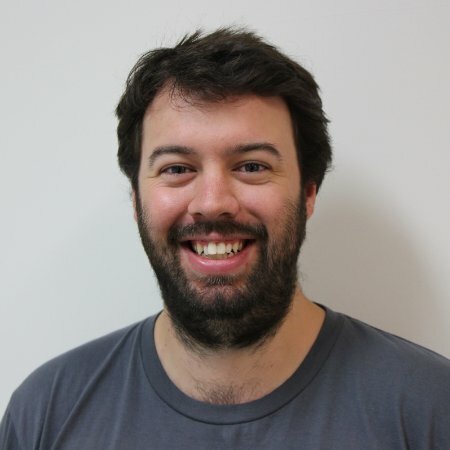 In addition to Tim's consulting experience assisting SaaS and online businesses, he has experience with running Docker in production since v1.0.